Below you can view all the homes for sale in the English Oaks subdivision located in Kennesaw Georgia. Listings in English Oaks are updated daily from data we receive from the Atlanta multiple listing service. To learn more about any of these homes or to receive custom notifications when a new property is listed for sale in English Oaks, give us a call at 404-998-4102. Kitchen Has Stainless Steel Appliances. New Hvac. Tankless Water Heater. MLS#6540677. Bhgre Metro Brokers. Close To Swift Cantrell Park, Shopping And Restaurants. MLS#8568619. Bhgre Metro Brokers. Close To I-75 And The New Express Way! MLS#6538887. Berkshire Hathaway Homeservices Georgia Properties. Swim & Tennis Amenities Less Than Block On Same Side Of Street MLS#6534520. Keller Williams Rlty Consultants. 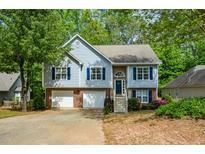 Convenient Location Close To Schools, Dining, Shopping, Swift Cantrell Park And Hwy 75 & 41. MLS#6529732. Mark Spain Real Estate. 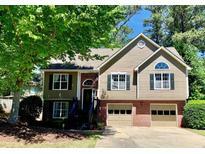 Highly Sought After Kennesaw Area, Only Minutes To 75! MLS#6522944. Keller Williams Realty Partners. Call Today To View This Home! MLS#6124630. Keyco Realty, Llc.